Welcome to Singapore!!! The Lion City! Clear Immigration and custom and transfer to your hotel in Singapore. In the evening enjoy NIGHT SAFARI- Hop on board the tram and psyche yourself for a 40 min journey of wild animals encounters. Journey from the Himalayan foothills to wild Equitorial Africa, this ride offers live commentary. Get a chance to come up- close with lions, tigers, tapirs, deer and more. Set in a forest clearing, the creatures of the night show a 20 min animal presentation will introduce you to nocturnal animals, from the elusive owl to nimble binturongs to intuitive civets. Overnight at your hotel, Singapore. Enjoy breakfast at the hotel. Today morning proceed for half day Singapore city tour. Includes Merlion photostop, Suntec city, fountain of wealth, Orchard road, Little india and Chinatown. Overnight at your hotel, Singapore. Enjoy breakfast at the hotel. Today morning is at leisure to explore the city on your own.Overnight at your hotel, Singapore. Enjoy breakfast at the hotel. Check out of the hotel and transfer to Sentosa. Proceed for full day universal studios. Live the movies at the many exclusive attractions found only at the regions first hollywood theme park, Universal studios Singapore. Featuring movie themed rides and attractions, which are unique to Singapore, thrill seekers and families will be the first to experience many new rides and shows based on blockbuster hits. The young at heart will be entertained by Shrek and gang on an incredible 4-D adventure in the world's first Far Far away castle. Thrill seekers can face warrior mummies on Revenge of the Mummy a psychological thrill ride in the total darkness. Other highlights include Madagascar, New York, Hollywood, Sci Fi city and the lost world. 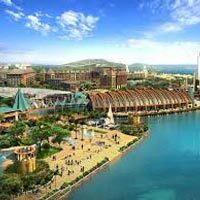 Overnight at your hotel, Sentosa island. Enjoy breakfast at the hotel. 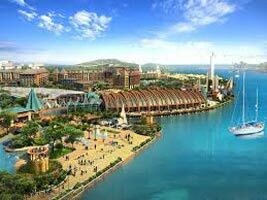 Today Enjoy your day at Sentosa island. Visit Underwater world an incredible one stop destination for the family – providing hours of fun, leisure and learning for all. Visit Dolphin Lagoon – the adorable fur seals as they perform alongside pink dolphins. Butterfly park and insect kingdom showcases the stunning beauties of mother nature. The luge offers a truly unique outdoor experience and suitable for all ages. Board the Skyride and take in the fantastic panoramic scenery of the city skyline and beautiful coastline. Come discover an awe inspiring display of water, laser and fire effects, set to majestic music and a panorama of breathtaking vistas – Wings of time. Overnight at hotel, Singapore.